Wow… they gave up on this kid quickly! Any takers? The Montreal Canadiens have placed 23 year old forward Jacob de la Rose on waivers. 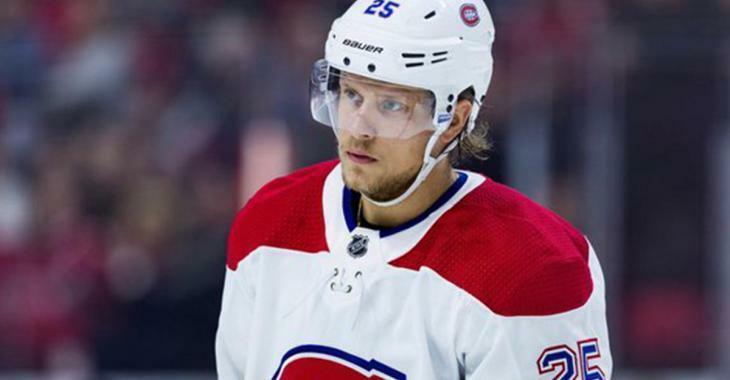 BROSSARD - The Canadiens announced on Tuesday that they've placed forward Jacob de la Rose on waivers. The 23-year-old Swede has yet to suit up for Claude Julien's squad this season after suffering a cardiac episode following a preseason game in Ottawa on September 29. De la Rose, however, has been practicing with the team after being cleared by team doctors to resume taking part in on-ice sessions with the rest of the group. In 119 games career games with the Canadiens, de la Rose boasts eight goals and 19 points. He was a second-round pick of the Habs, 34th overall back in 2013. The 23 year old Swedish forward suffered a cardiac episode, otherwise known as a heart attack, immediately following a preseason game against the Ottawa Senators late last month. While de la Rose has yet to play a game since suffering the episode, he had joined the team for practices lately after being cleared by the team's medical staff. The native of Arvika, Sweden has eight goals and 19 points in 119 games and managed to play a career high 55 games with the Habs in 2017-18. The 6 foot, 3 inch, 215 pound winger was selected in the 2nd round (34th) overall by the Habs in the 2013 NHL Entry Draft. With him on waivers now... I think we can officially call general manager Marc Bergevin's 2013 draft a major flop. With his first round pick (23rd overall) Bergevin selected big winger Michael McCarron. McCarron has played just 69 NHL games and has scored just two goals. He's currently still in the team's system playing with the AHL's Laval Rocket and there aren't too many people predicting him to be an impact player in the NHL. After selecting De La Rose at 34th overall, Bergevin selected goaltender Zach Fucale 36th overall. Fucale, who was the first goaltender selected in the 2013 NHL Entry Draft, is currently playing in the ECHL.